Obituary for Frederick B. Macdonald | Varnum Funeral Home, Inc.
West Brookfield - Frederick B. Macdonald, 81, of West Brookfield, died on Wednesday, January 16, 2019 at his home with his loving family by his side. He leaves his devoted wife of 38 years, Paula (Tenanes) Macdonald; two sons, Chris Macdonald, and Rick Macdonald and his wife Jessica; three daughters, Susan Macdonald, Lisa Burzynski and her husband Michael, and Kerry Macdonald, nine grandchildren, Erik, Tesia, Emma, Ky, Selena, Isabella, James, Maddie, and Lachlan, as well as three great grandchildren. He was predeceased by his daughter, Janet Kastberg, last year. He was born in and grew up in Saugus, son of the late Frederick and Mary (Johnson) Macdonald. He was a long time resident of Sturbridge, and then Deerfield, prior to moving to West Brookfield 5 years ago. He was a strong and devoted man who loved and protected his large family. 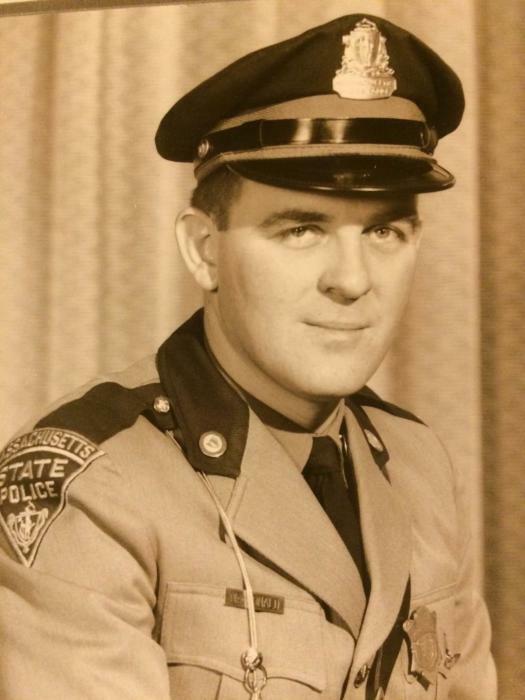 Fred was a member of the Massachusetts State Police for 23 years, proudly retiring as lieutenant. He was then elected Sheriff of Franklin County and served 18 years before again retiring in 2011. He was very proud of his long career in law enforcement. Family and friends will remember him always parting ways with “drive safe” and “be careful out there”. Services for Frederick will be held privately and there are no calling hours. In lieu of flowers, Fred’s wish was that memorial donations be made to the Dakin Humane Society, P.O. Box 6307, Springfield, MA 01101 or at www.dakinhumane.org/donate, in honor of his beloved dogs past and present.